There's always one, isn't there? That F1 venue people find particularly hard to love. No new thing either. Nivelles, Detroit and others have had periodic pariah status historically. More recently it was Valencia. Then it was the Mokpo venue in Korea. Now, dear reader, I give you Sochi in Russia. It has ugly duckling status for a number of reasons. 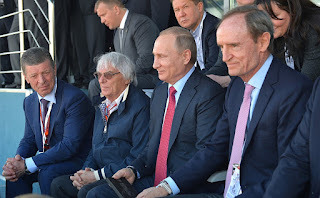 The race was in many eyes tainted at source, even though Bernie Ecclestone's attempts to get a Russian/USSR round onto the calendar stretched back literally decades. A Grand Prix in the Soviet Union to be held on the streets of Moscow appeared on the provisional F1 calendar as long ago as 1983 indeed and several mooted options came and went in the years that followed. Yet even by the time the race finally was penned to debut in 2014 - around the buildings and circular medals plaza of that year's Winter Olympics venue of Sochi - plenty thought we could nevertheless wait a little longer. Its very existence was controversial from several months out with unrest in Ukraine and Russia's alleged contribution to it dominating many headlines. Some thought too resultant sanctions would mean the race's money would run out. 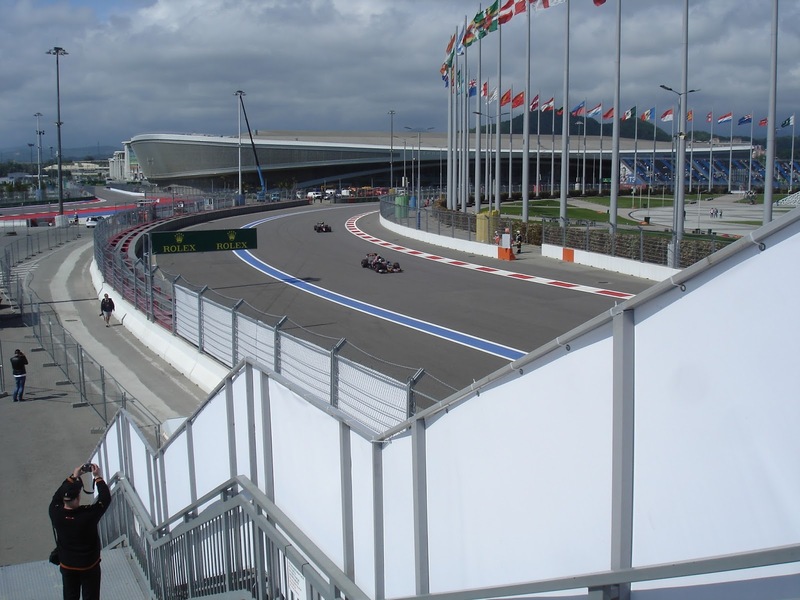 A year on too for the second F1 visit, as well as Ukraine matters being far from resolved there also was the uneasy background noise of Russia's activity in Syria, including that some of the missiles fired therein weren't landing all that far from the Sochi venue. In both there were concerns more generally about Russia's human rights record and particularly its legislation prohibiting any 'positive mention of homosexuality' in the presence of minors. 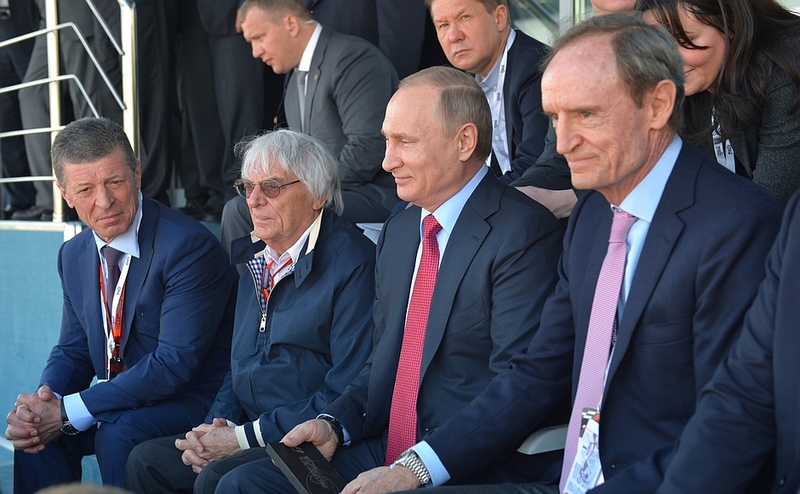 That Russian President Vladimir Putin has associated himself closely with each F1 visit hardly helped de-couple it all from the event. Happen the races did though, and continue to do, with visit number four happening this weekend. One may wonder what might come of the race now we're in the post-Bernie age (BCE appearing outwardly particular bessie mates with Putin). But like it or not Russia is an important market for the sport, which is a lot of the reason Bernie worked so persistently to get it on the calendar in the first place. While a few of the gloomy predictions about the round - including tiny crowds - have yet to come to pass. By Kremlin.ru, CC BY 4.0, https://commons. Yet the event's unpopularity isn't all about politics. Plenty of 'typical Tilke' comments have been made about the Sochi track, as have unflattering comparisons with the previous pariah Valencia. Kate Walker moreover during the first visit immediately declared Sochi a "Mokpo Mk II" as well as a "future white elephant", on the grounds variously that it's a long way from Moscow (a three hour flight or if you prefer a 24 hour car journey) and the local town of Adler wasn't very exciting. And more immediately the three races here haven't been the most diverting - a combination of a glass-like surface meaning near-zero tyre degradation and the extreme fuel saving required. The latter particularly led to Kevin Magnussen describe his first race here inimitably as "a chilled-out Sunday drive". While in a way that surely only Hermann Tilke can, a track layout designed seemingly to make overtaking unavoidable - with absurdly long straights ended by big stops - somehow provides nearly none of it. Yet the ugly duckling Sochi circuit collides this weekend with an F1 all of a sudden in fine plumage. 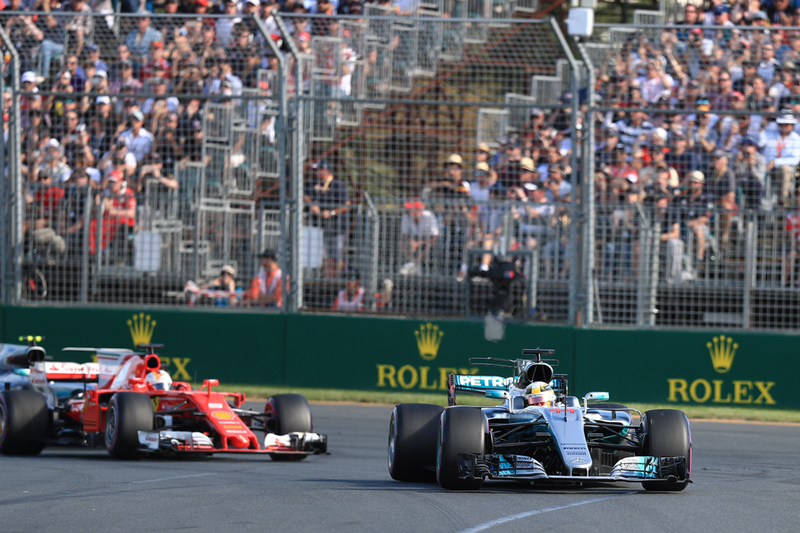 Not only do we seem content with the cars and the racing, we also have a competition up front, with Sebastian Vettel and Ferrari looking strong and in the spirit of Meat Loaf having a hardly bad two wins from three so far. Lewis Hamilton and Mercedes, excepted in advance of the season to be untouchable, have meanwhile been floundering ever so slightly. We've established a pattern already this season too. 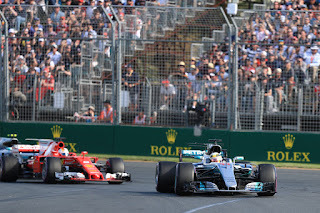 Mercedes still has a qualifying advantage but Ferrari is at least as quick in the races - perhaps quicker - as well as gentler on the tyres, sharper on strategy and is making fewer mistakes. Merc's errors, while niggly, have been persistent and sometimes absurd. They've left us to wonder too whether they're the result of the new pressure, or whether the team's been making them all along but was too far ahead for us to notice their impact. But Sochi looks a good place for a Merc bounce-back. And not because it's never lost here (which doesn't mean a great deal in of itself). The low degradation surface, allied with relatively cool ambient temperatures, may tilt things back towards the silver cars, as Ferrari might experience the flip side of its gentle touch on the rubber here by not being able to get sufficient temperature into the Pirellis. Particularly for a qualifying lap, as getting heat into the front tyres while still ensuring the rears don't overheat is a bugbear at this track. In previous years some have gone for more than one warm up lap before their flier, while others tried more than one flier in a single run with an ers-charging lap in between. Tyres that run all day may also mean fewer strategy options for Ferrari to vault the Mercs in the race; even in previous years with gumball rubber one-stoppers have been de rigueur in Sochi. And while it got forgotten given what happened next it is worth reflecting that in Bahrain Mercedes’s qualifying advantage was bigger than it had been anywhere in 2017; it might have won without treading on its own tail in various ways, and this at a track thought for many reasons to suit Ferrari. Seb also admitted that beating Lewis off the line was "vital" to his eventual win. Another theme established already in 2017 is that Merc vs. Ferrari boils down to Hamilton vs. Vettel. 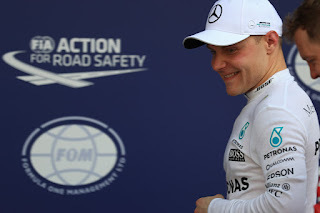 But the 'other' Merc pilot Valtteri Bottas has a good record here - he's qualified third in every visit (in a Williams...) and might even have got pole in 2014 without a late error on his final run. Then again it may all depend on the extent that being asked to cede place to his team mate (twice) in Bahrain has had an impact on him. Reflecting the low deg nature of the place Pirelli has gone as soft as possible in its compounds selected this time, bringing the soft, supersoft and ultrasoft. This is good news for Red Bull, which has struggled with getting the soft tyre to work this season - due apparently to not having enough downforce to get energy into it - and indeed in Bahrain it ran with the (admittedly bottled-up) leaders until it had to bolt the soft tyre on. In Sochi it can build its strategy without that compound, but then again it's not clear if it can do a one-stopper without it. Williams as intimated has a good record here - reflecting a track which 70% of it is spent on full throttle - and in Bahrain there were beginnings that the Grove team is making something of its good 2017 car. 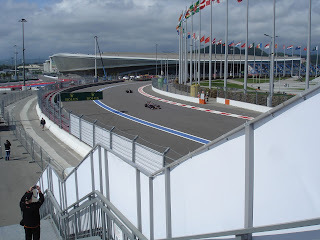 Sochi also is a place where, despite local reputation, there can be surprise results, such as Sergio Perez getting onto the podium in 2015 thanks in part to some fruity strategy and Fernando Alonso finishing sixth and Magnussen in the Renault seventh here last year. Both of those results 12 months ago were set up by successfully picking their way through first lap carnage to climb to exalted places that they kept. The first turn, and the extent that you're allowed to use its tarmac run off without penalty, is an annual scene of grief too. And remember that even Valencia gave us a classic race eventually. Plus F1 in 2017 appears to be living such a charmed existence that maybe not even Sochi can spoil it. Don't write the place off - F1's ugly duckling may yet prove to be a very fine swan indeed.